Despite concerns, frack and tax is the bottom line of recent Quinnipiac Poll results. Last week's Quinnipiac University poll of opinions gathered across New York State found widely divergent opinions on horizontal hydraulic fracturing or "fracking" of Marcellus Shale natural gas wells in the Empire State. At present, there is a statewide moratorium on fracking. Overall, more New Yorker's favor drilling (47%) in the Marcellus Shale than oppose it (42%). Upstate and suburban voters tend to favor it (51% and 52%, respectively). 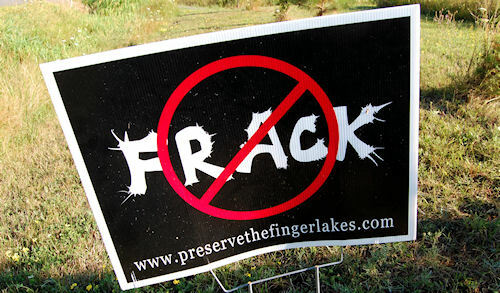 New York City voters generally oppose fracking (50%). MINORITY OPINION? While opposition to horizontal gas well drilling and fracking is highly visible, New York and Pennsylvania polling results continue to show majority support. While 57% have heard or read about fracking, 33% acknowledge that they don't know if it will cause environmental damage. And while 52% believe fracking will damage the environment, 75% believe that natural gas drilling will create jobs – as it already has in Pennsylvania. "Drill for the jobs, New Yorkers say, even though they're worried about the environmental effects of hydro-fracking," notes Maurice Carroll, director of the Quinnipiac University Polling Institute. Nearly half (47%) believe the economic benefits are worth the risk. A sizeable majority support a new tax on companies drilling for natural gas, adds Carroll. Overall, 59% favor a new tax while 29% oppose it. Upstaters favor it by 57% while 65% of those polled in New York City favor it. However, most New Yorkers don't realize there's already a tax on drilling (called an ad valorem tax). So a new tax would channel millions of dollars more going to local municipal coffers – school districts, local towns, etc. A June poll of Pennsylvanians, also by Quinnipiac University, tallied somewhat the same bottom line. "'Drill, baby, drill,' is the call from Pennsylvania voters, and 'tax, baby, tax,' is the follow-up as voters see natural gas drilling in the Marcellus shale as an economic plus more than an environmental negative," says Tim Malloy, assistant director of the polling institute. "They also see added taxes on gas drillers as one of the few acceptable ways to help balance the budget." Some 63% felt the economic benefits of drilling outweigh the environmental impacts. And 69% supported a drilling tax on gas companies. Pennsylvania remains the largest gas-drilling state without an extraction tax.